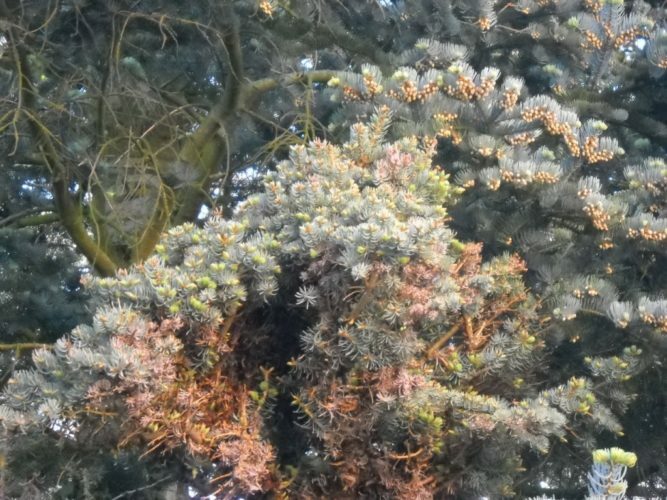 Abies concolor 'Blue Saphir' is a diminutive selection of White fir with short bright-Blue needles, only 0.5 inch (1 cm) long, that lighten to silver at the tips. After 10 years, a specimen will be considered mature at 12 inches (30 cm) tall and 16 inches (40 cm) wide, a rate of growth of only 1 inch (2.5 cm) per year. 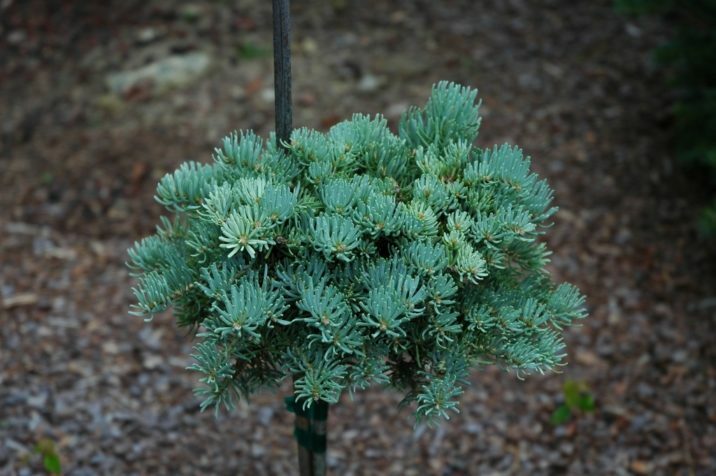 Abies concolor 'Blue Saphire' — a cute young specimen grafted high on a standard.